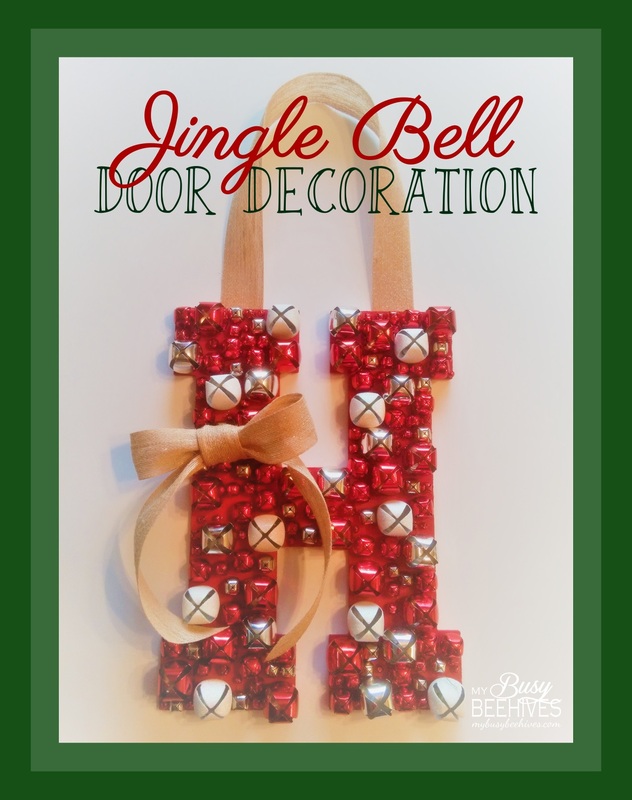 Nothing puts me in a Christmas-y mood more than the sound of jingle bells, which is why I am in love with this Jingle Bell Door Decoration! 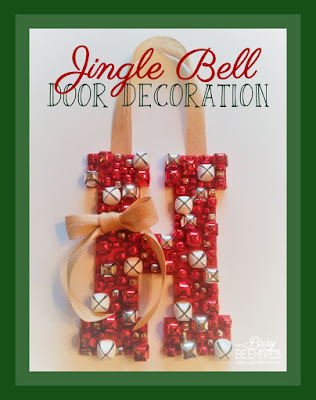 My kids enjoy listening to it jingle as they go in and out of our front door; it really is one of our favorite sounds of the season. 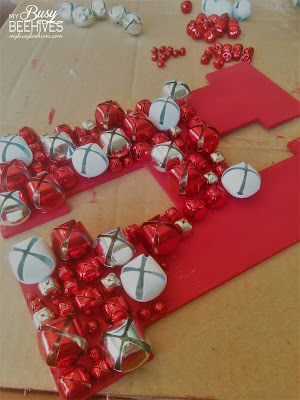 It was surprisingly easy to make, and can be a great gift for friends and loved ones, too! STEP 1: Gather your supplies. You will need a wooden letter, an assortment of bells in varying sizes (I used red and silver and white glittered ones), red paint and brush, ribbon, and a glue gun. 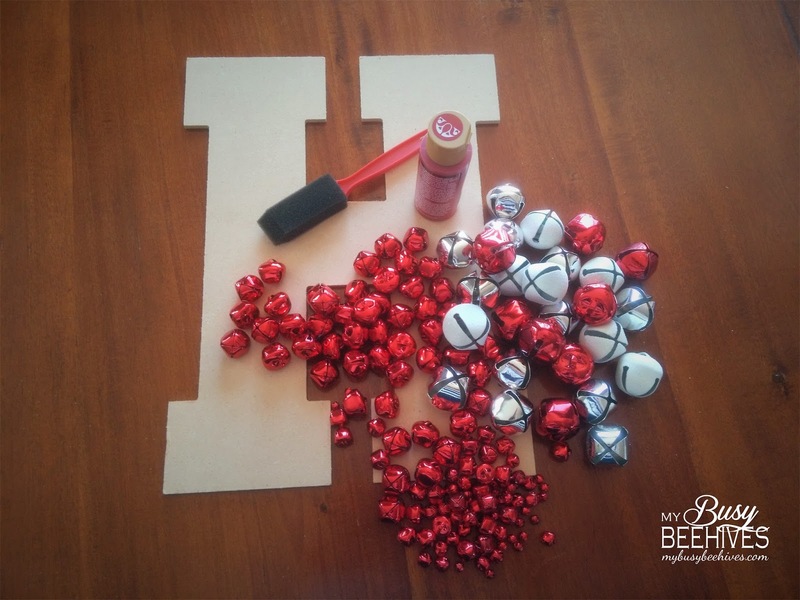 STEP 3: Once all your bells are glued on, it is time to add your ribbon. Take a length of ribbon and tie a bow on the side. Then glue a strip to the top to form a hanger. 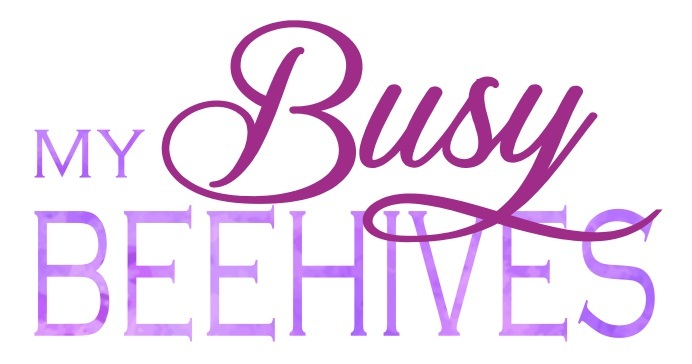 Click here to be redirected to Bear Hugs and Beehives. I love this Monogram jingle bell door hanger! It's perfect for the holidays. This is cute. I would love the sound of all the bells when your opening the door. LOVED this post & Special Thanks for your wonderful guidance. I will make it for my home sweet home. 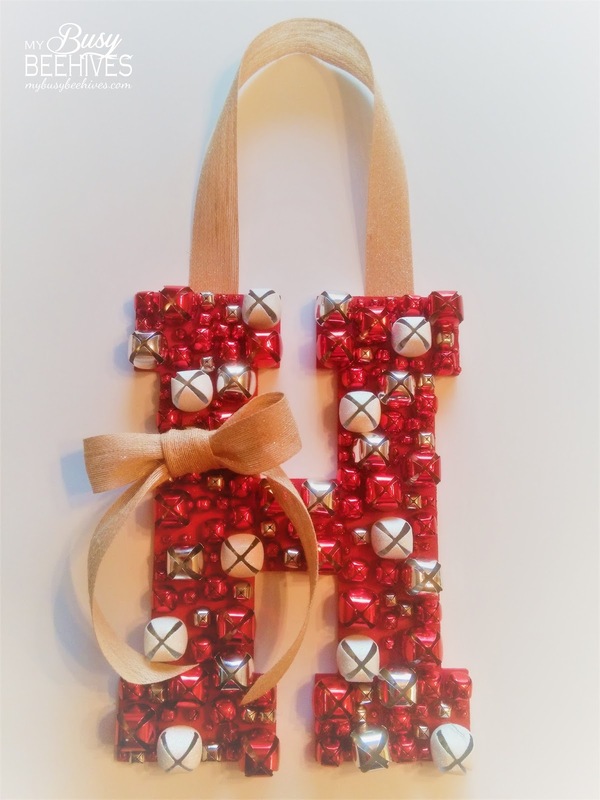 Beautiful front door hanger for Christmas. Thank you for sharing at http://www.fabifabu.com/2016/11/20/inspiration-galore-project-party-13/ you will be feauture at tomorrow party.Hope to see you there again and again!! Wonderful idea and project. 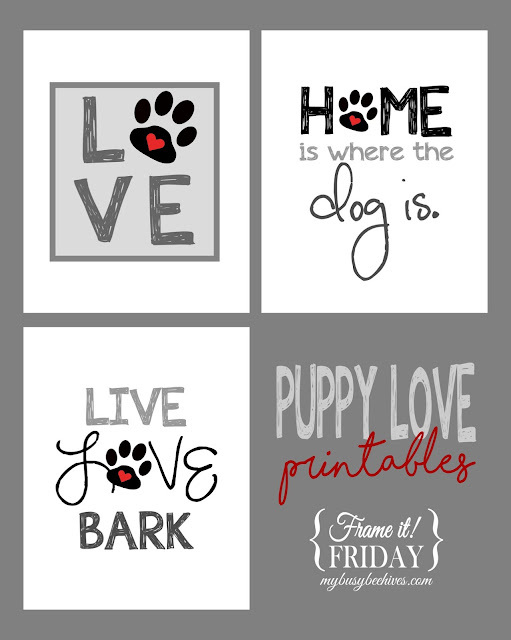 Featuring when my link party opens up tonight! What kind of glue was used? I just used my glue gun.